I love these! The Chambray and Polka Dot dresses are just perfect! My favorite is the chambray dress. There are so many ways to style it year round!! Seriously! I love that chambray is considered a neutral now! Yes! The longer sleeves make it great for pretty much any season! Love these dresses! Especially the white one. Makes me wish I had a place to wear it! 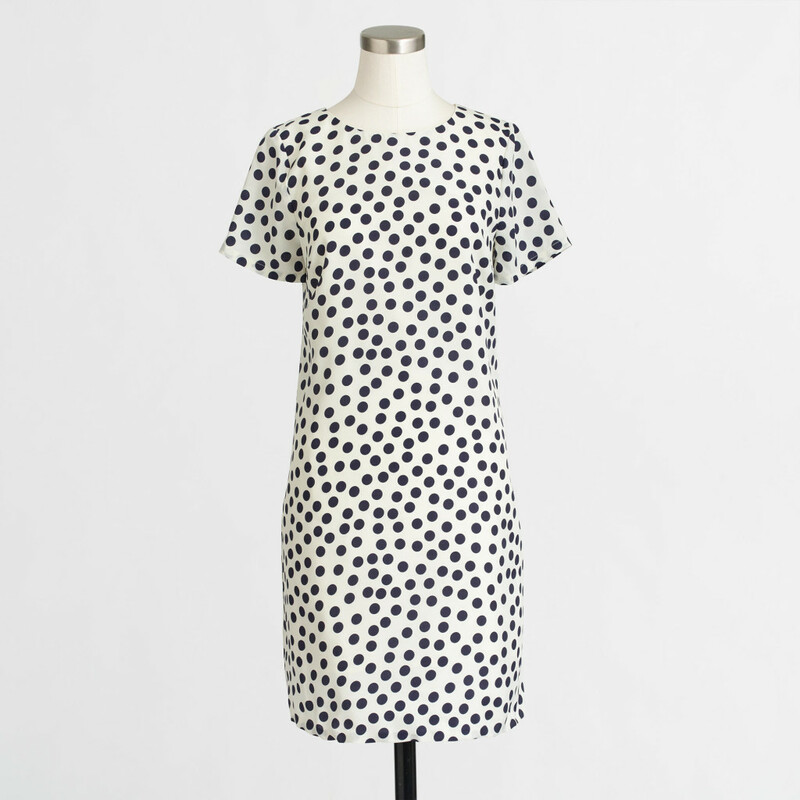 I have the polka dot dress and i LOVE it!! Now, I just need that cute chambray dress! Excellent! All, except the jeans dress, I understand the reference to the sixties? Or I need to stop commenting on fashion blogs? Your opinion? I need that polka dot dress!! So perfect!! Loving the chambray and the polka dot dress! 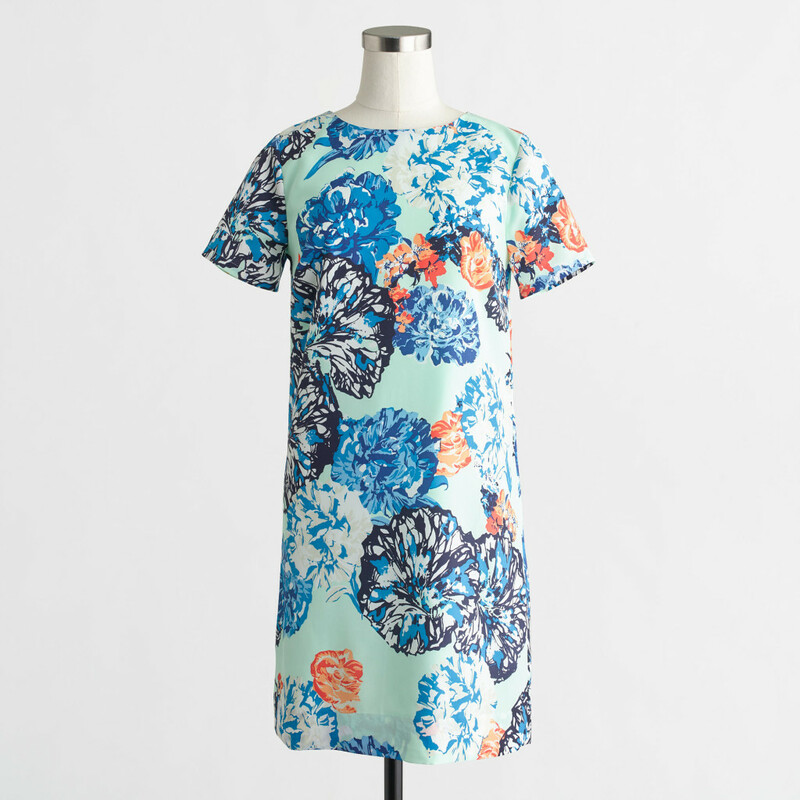 J.Crew Factory is one of my favorites. Love the polkadots!!! I want this! I’ve regretting not getting that chambray dress since the last time I went to the Outlets! I’m going again on Saturday and I hope it’s still there! Thanks for sharing, I love these! 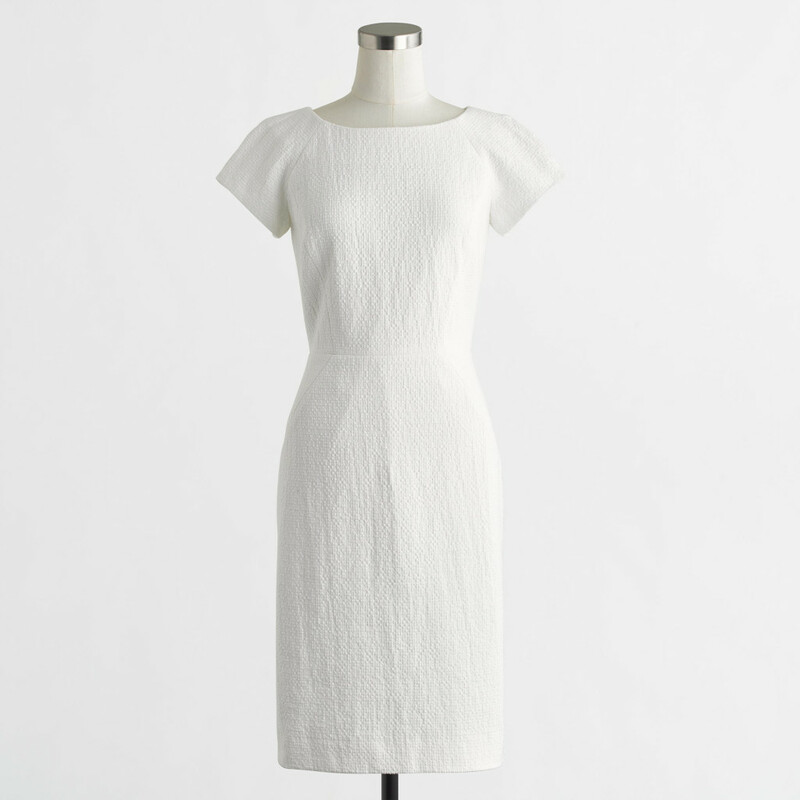 White dresses (and just white in general) are so popular right now! This classic look is definitely seeing it’s moment for sure! So many pretty dresses! I’m loving that chambray one, so cute! The chambray is so cute! I thought about this one, but it’s already pretty hot where I live. I’ll be checking out some of these short-sleeved choices for sure. So cut! 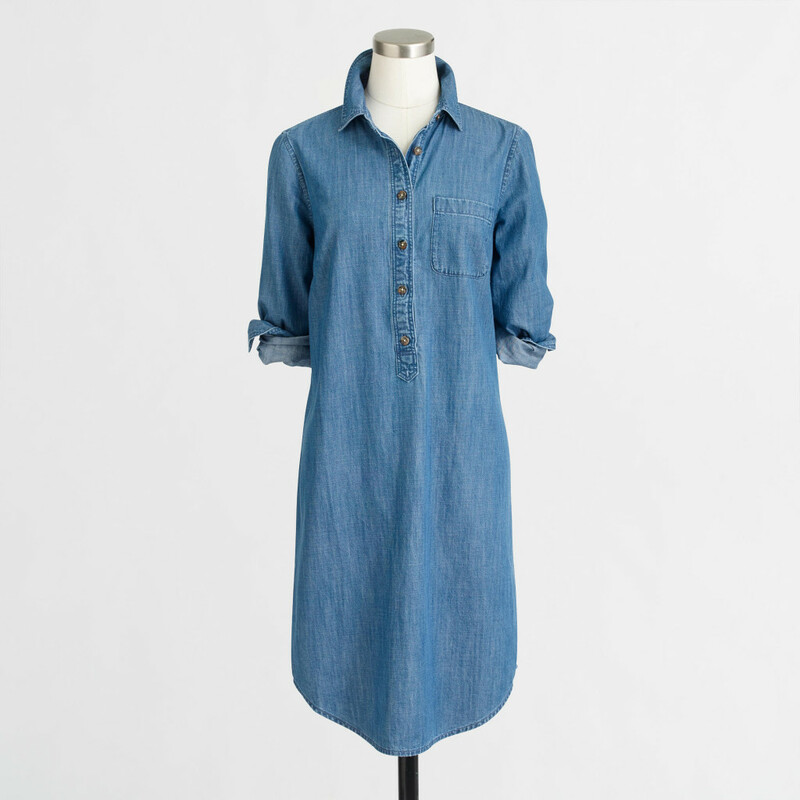 Love the chambray shirt dress! I love jcrew factory! And I’m dying over that first dress… it looks so comfy! I love J Crew Factory! I’d say about 63.8% of my closet is made up of it. And that chambray dress is adorable! Great picks. Seriously swooning over these dresses!! I love the chambray and the polka dot. I’m not a big fan of wearing shorts, but I love a good dress for spring and summer. Thanks for sharing!